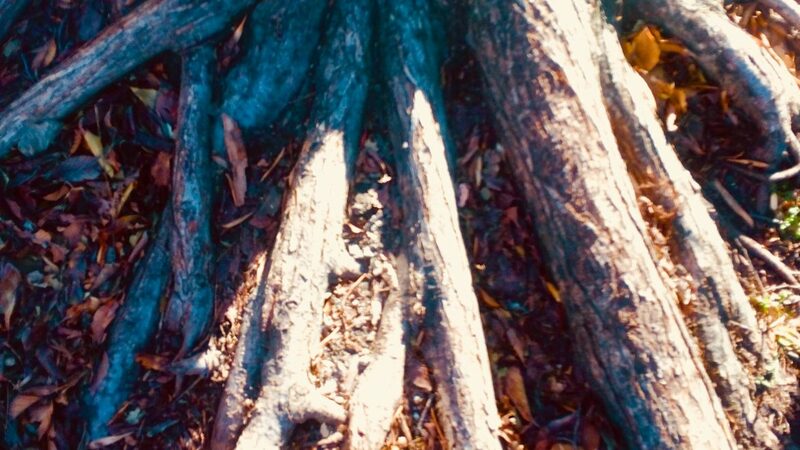 Like roots that grow side by side, downward, deeply gripping the soil, are the true stories of other Christians that are hardly expressed here. Their roots have overlapped mine at points, have formed me and directed me. I’m truly grateful to have intersected them, and joined them, in our cultivation under the juniper tree. The format of this essay bobs like a Lure from chapter to chapter. Waves: parables, botany, Christ story, our stories and scripture. Reflected waves tend to interfere with the oncoming waves, and these patterns can be studied. Exploring truth and what it means to persevere under suffering and different seasons of our life. Cycles that return, but change and shift, sway and tilt, trip us, try us. Truth shines in these stories like a candle in a cave. Giving us glimpses of the in comprehensible root structure above us. Rocks are formed by pressure. Roots poking through the soil wrapping around the rocks, splitting the rocks that haven’t settled. Occasionally you see a gem that’s been formed by all these conditions. It’s not fun to walk in the cave with unknown peculiars around each corner. But it does reveal things that are beautiful, hidden and necessary. It gives us a greater appreciation for the world above. They say light shines brightest in the darkness, right? Roots always seek water. Ugly as they are, they are beautiful. They knob, wiggle, and sprout new life. They go sideways at points, they go upward, and downward between the soil, muck and rock in search of water. Water, Christ, The living water, the well that never runs dry. Cultivation requires knowledge and action, faith is grounded in that same knowledge. It may, faith that is, shrivel to the size of a mustard seed, then abound as a plant the following summer. Let us log its ups and downs, it’s needs (the word, prayer, fellowship) and cultivate it to produce fruit, lasting fruit. We may need to rope the plant to a trellis but onward and upward it goes.